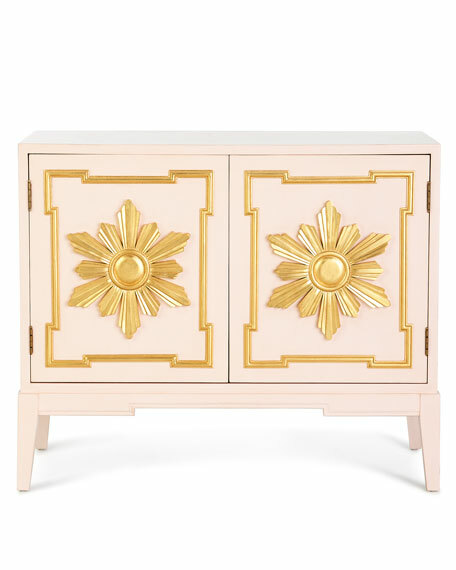 Side cabinet in a soft pink hue featuring gold leaf star accents with a gold leaf border on each door. 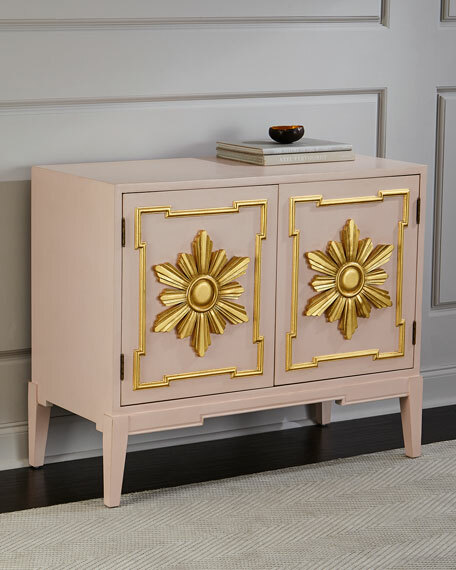 Golden star and border on each door. 43"W x 25"D x 36"T.
Comes fully assembled; minor install of interior shelf on dowels. Boxed weight, approximately 149 lbs.